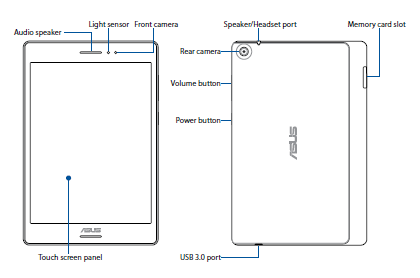 The ASUS ZenPad S 8.0 user guide is consist of 144 pages with file size of 28.2 MB. 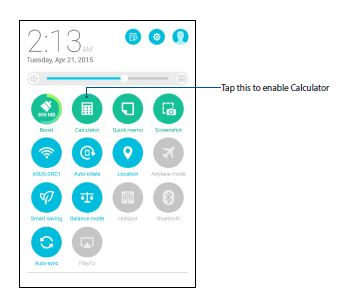 In the manual you can find reference information such as tablet overview with menu and key functions, tutorial installing a memory card, charging asus tablet, using the touchscreen, using home screen, using widgets, wallpaper, setting the date and time, lock screen guide, using contatcs, import and exporting contacts,etc. Then about using camera, gallery, using minimovie, using browser, bookmarks pages, setting up email, using file manager, the cloud, using play games, play music, using wi-fi and bluetooth,and more. Other important information such as about maintain guide for example updating system, bakup and reset on page 133, and securing tablet.